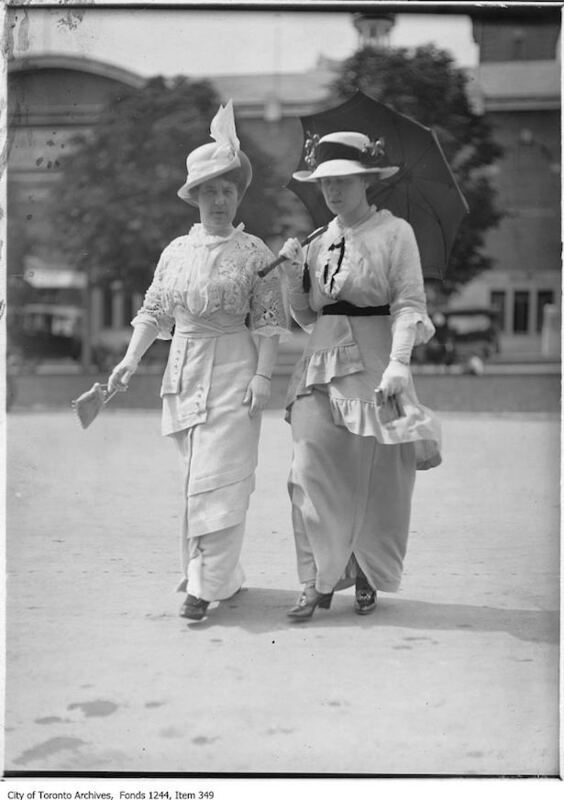 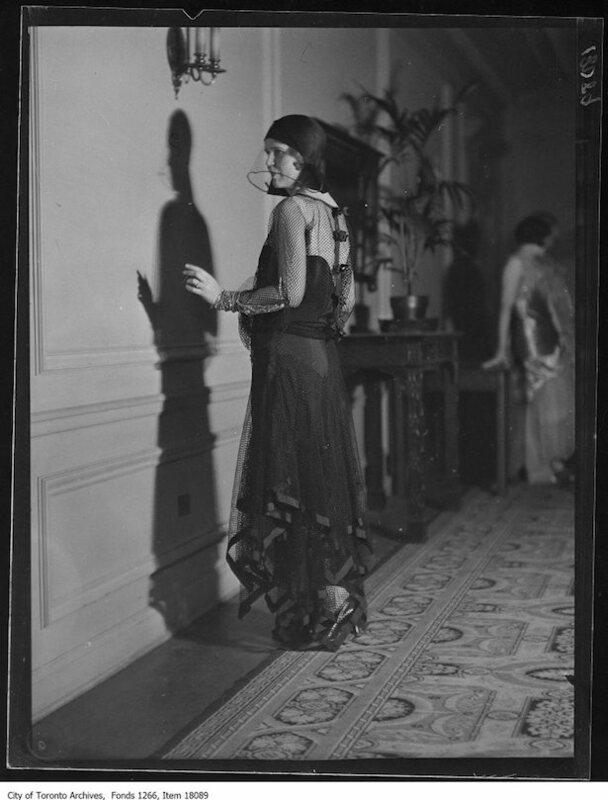 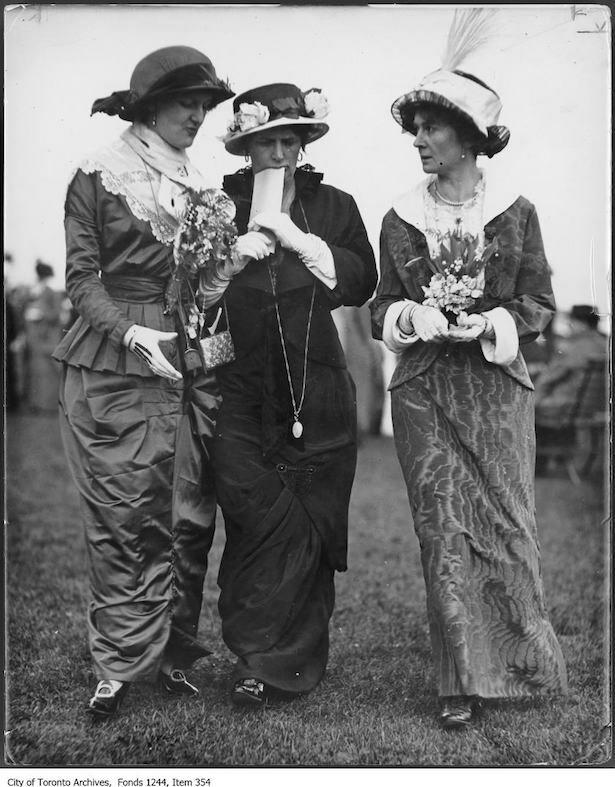 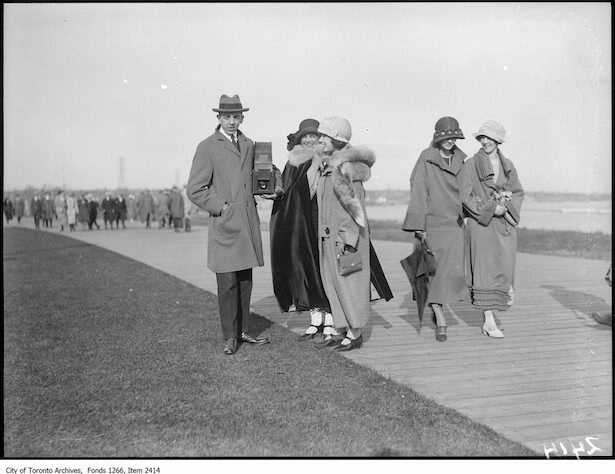 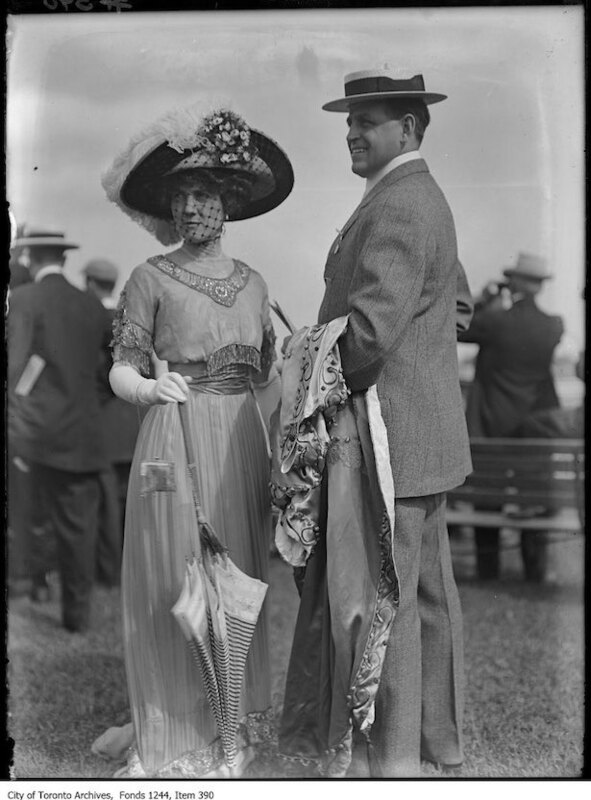 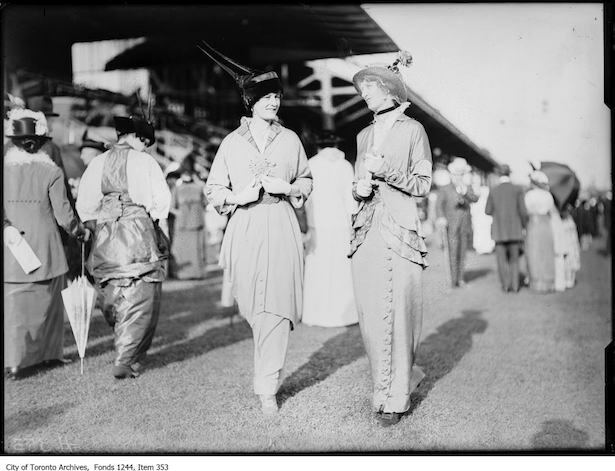 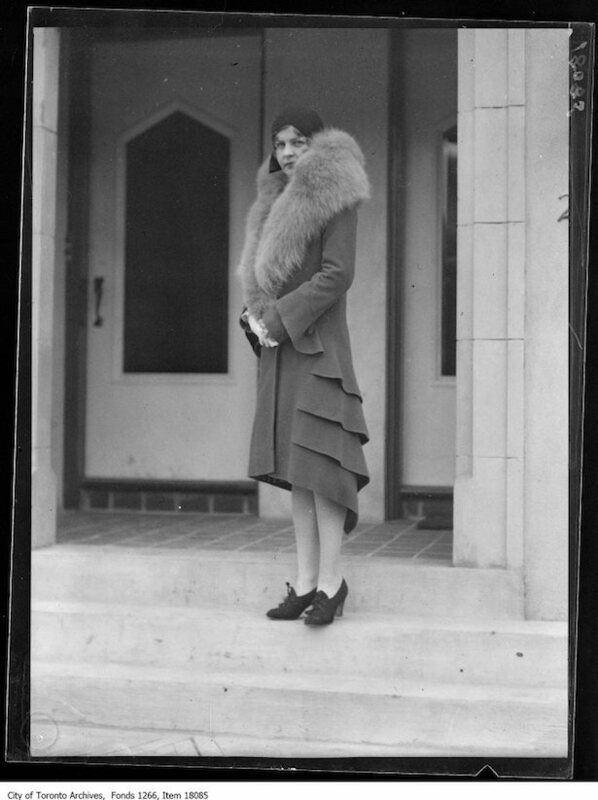 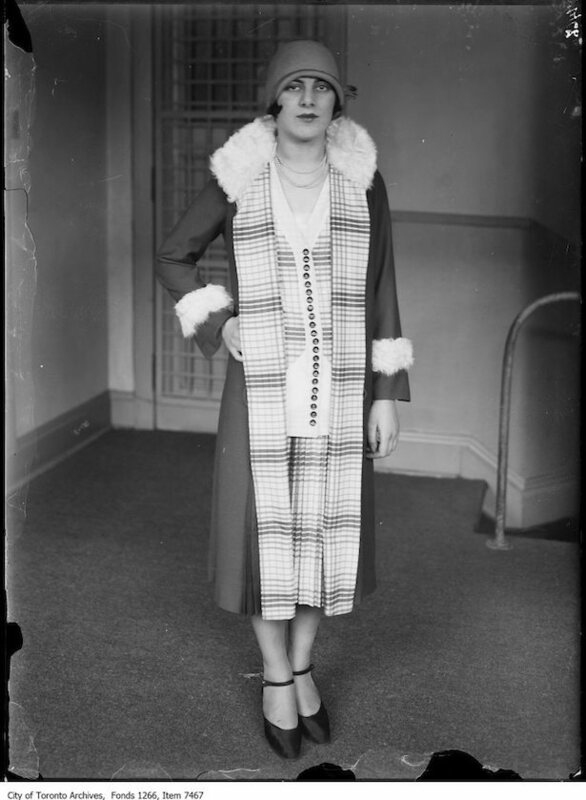 Browsing the Toronto Archives photographic collection for fashions 1909-1930, I found a ton of amazing shots of historic Toronto fashion. 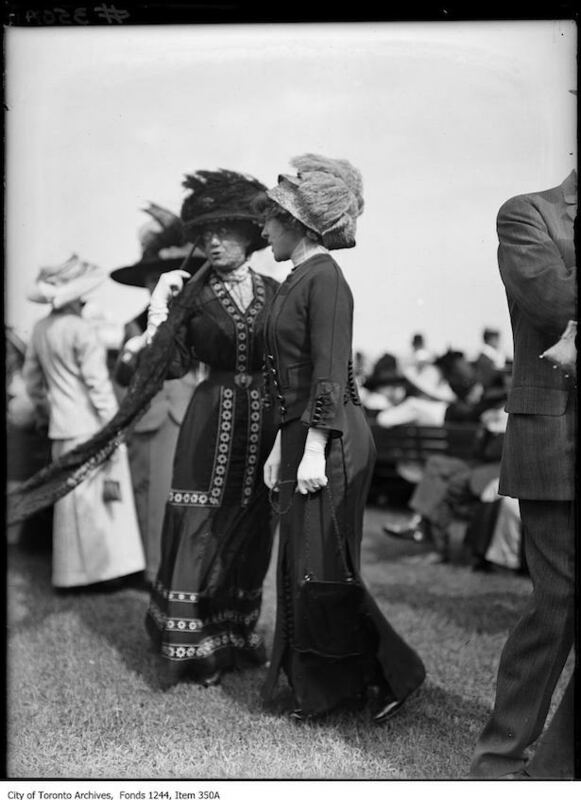 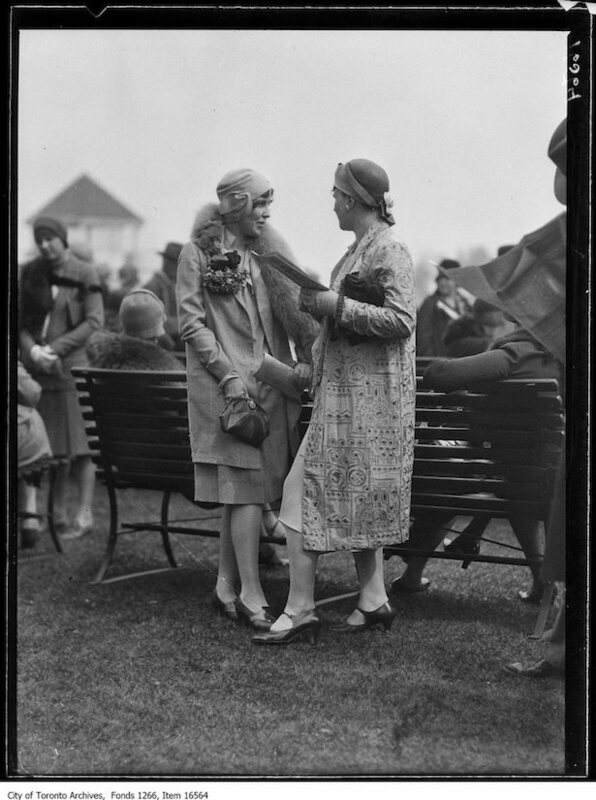 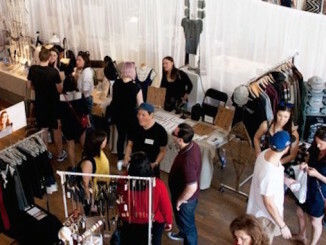 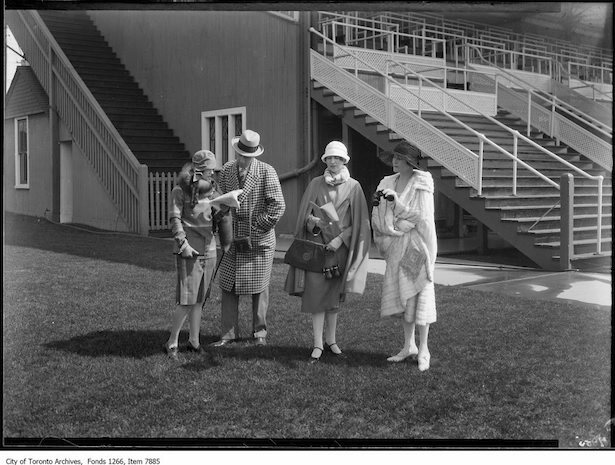 There are plenty of photos of stylish men and women at the races (Ontario Jockey Club/Woodbine Racetrack), fashion shoots for department stores, as well as people at events around the city. 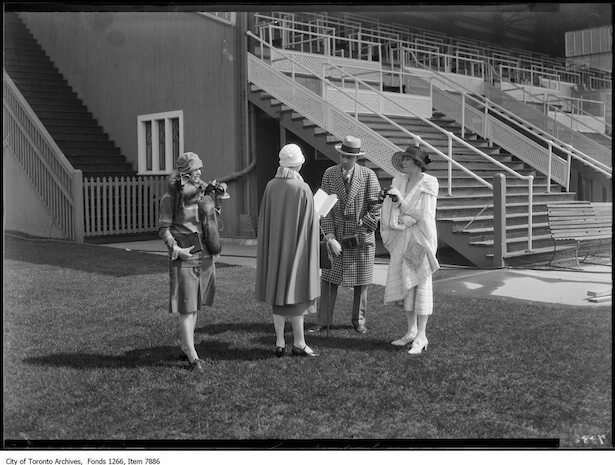 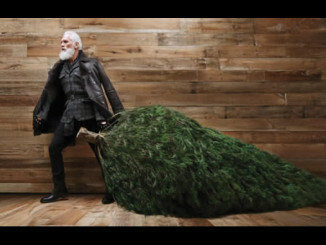 Some fashions shoots for Toronto departments stores of the day include Holt Renfrew, Eaton’s, Creed’s and Simpson’s. 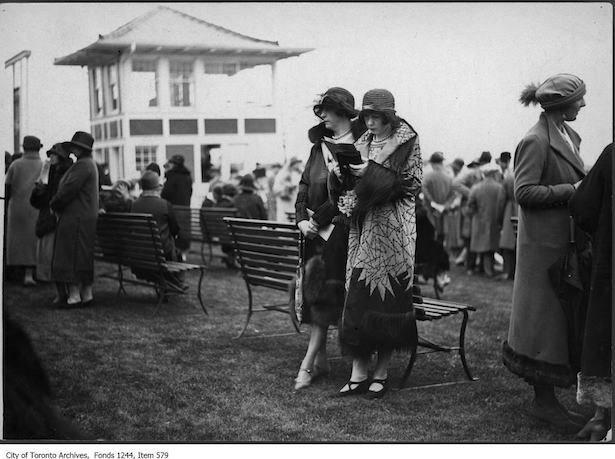 Only Holt Renfrew has survived to this day! 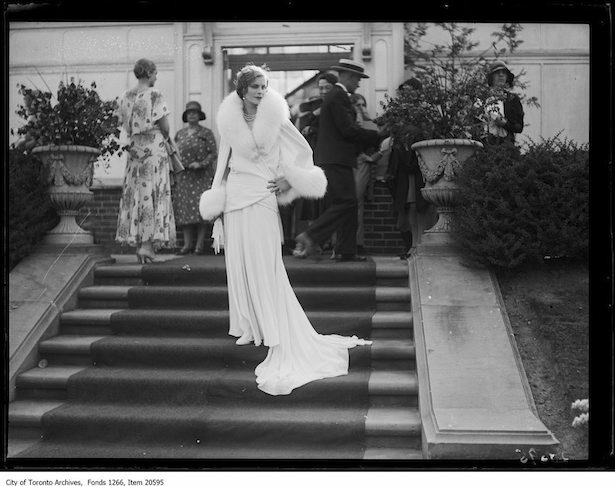 first wife of Sir Henry Pellat of Casa Loma fame. 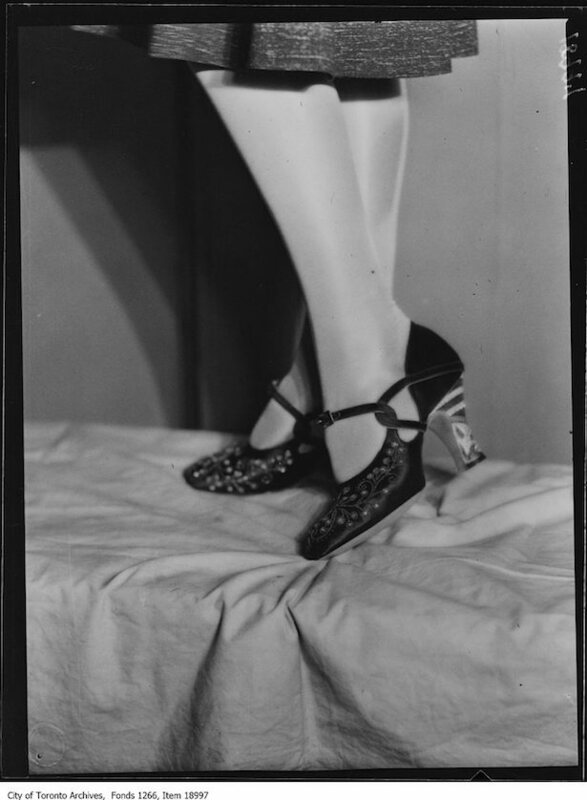 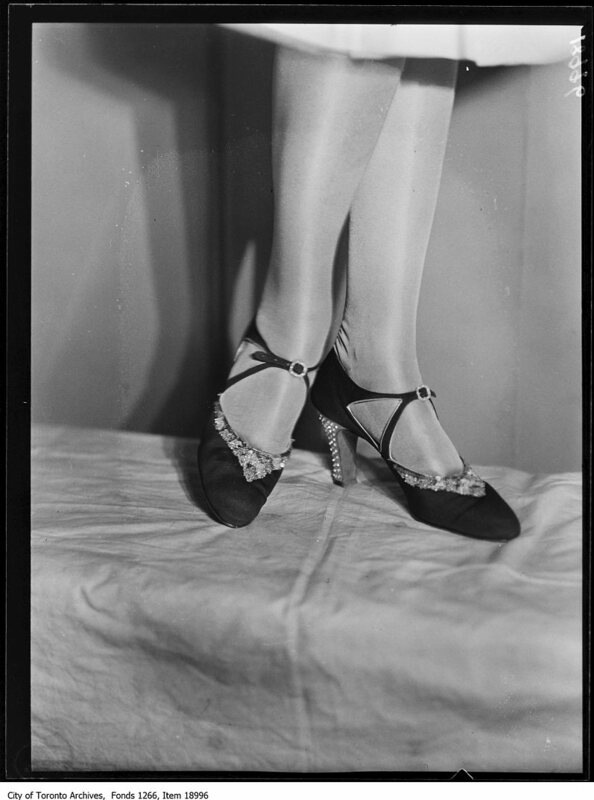 16 – 1930 Shoe fashion show, as a self-confessed shoeaholic, I could not resist these. 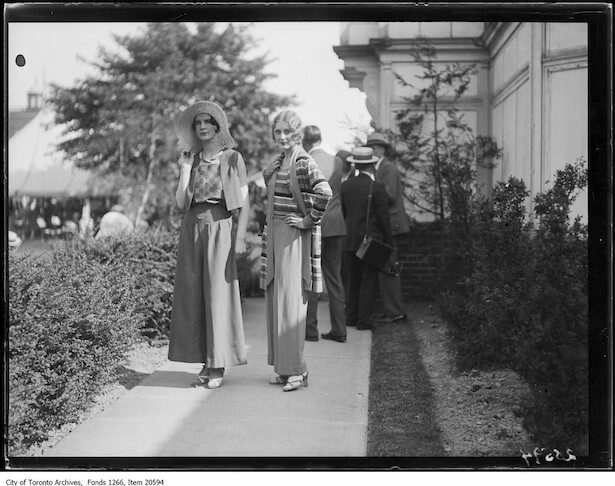 If you are interested in seeing more historic Toronto fashion finds in the Toronto Archives photos, please visit the Toronto Archives.